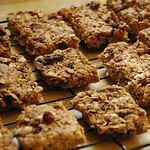 Another great recipe for homemade granola bars. These are soft and chewy and delicious. My mouth is watering just thinking about it. After a trip to the grocery store I renewed my resolution to bake my own healthy granola bars for the girls to bring to school. 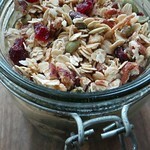 After a lot of searching I found a good recipe and altered it to make it even healthier. 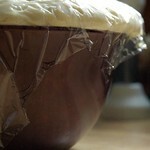 It has received an enthusiastic thumbs up from everyone. Not only it is nut-free, but you can make it as organic as you want.